To immediately expire sent files from being downloaded by recipients, you have two options. The first option is to click the Now button within Edit Thru message. 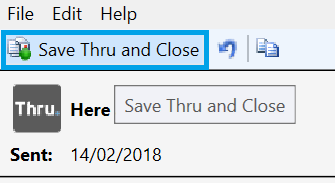 After expiring files, click Save Thru and Close at the top of the window. 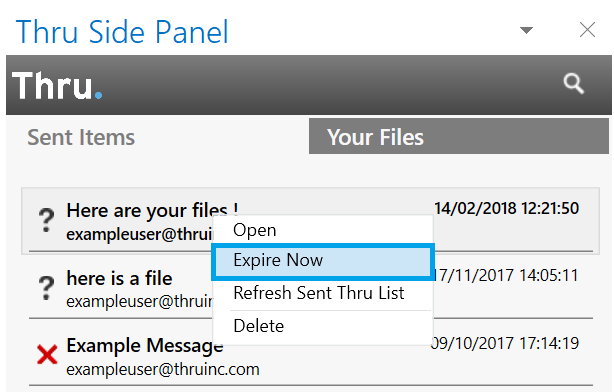 The other option is to right-click the message from Sent Items and then click Expire Now.